Tired, puffy eyes get soothing care and nourishing rejuvenation day or night with this gentle all natural eye cream. Weleda Wild Rose Smoothing Eye Cream is an intensive fragrance-free eye treatment that enlivens your eyes, reduces puffiness and helps diminish the appearance of fine lines. Take care of the delicate skin around your eyes with this all natural eye cream. 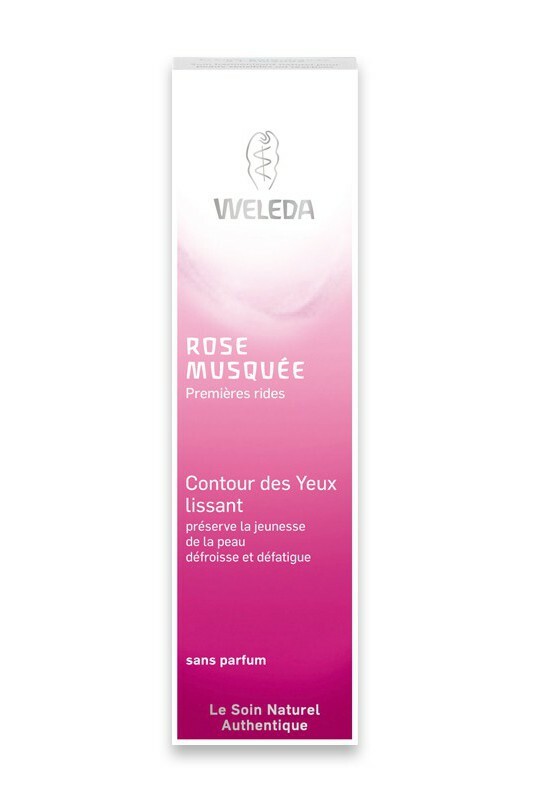 Help it flourish with the rejuvenating effects of organic rosehip seed oil in Weleda Wild Rose Smoothing Eye Cream, naturally rich in antioxidants and essential fatty acids that deeply calm and nourish. Also found in our all natural eye cream is organic or wild-crafted eyebright extract, known for its astringent and antioxidant properties that protect your eyes from skin-damaging free radicals and environmental influences. Organic jojoba seed oil acts as an emollient, smoothing puffy and dry skin whenever you indulge in Weleda Wild Rose Smoothing Eye Cream. Fragrance-free and fast-absorbing, this potent all natural eye cream is your secret for refreshed and bright eyes. soin lissant et nourissant! C est le premier soin bio pour les yeux qui est aussi efficace. Je l aime beaucoup! 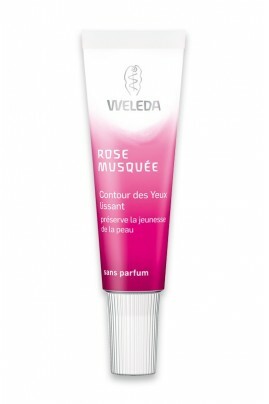 Spread a pea-sized amount of Weleda Wild Rose Smoothing Eye Cream on the tips of the ring finger. Beginning at the outside of the eye, gently pat the cream under the eye towards the nose, then over the eyelid from the nose outward, following the edge of the bone surrounding the eye. Apply in the morning and evening. Do not apply into the eye itself.